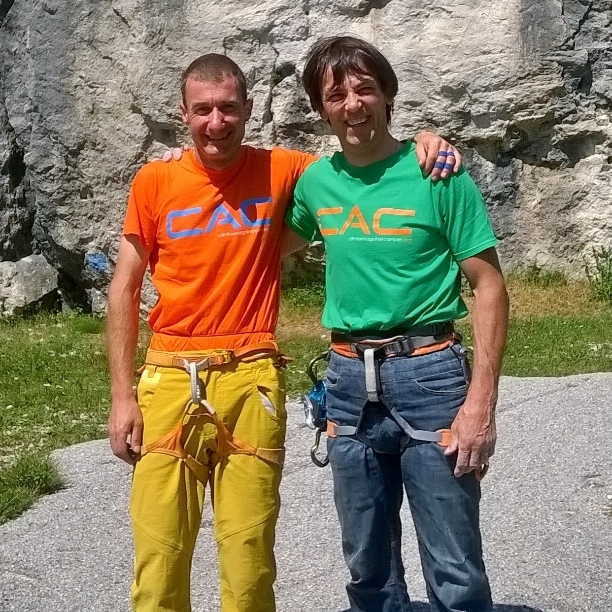 Thank you John for CAC, for giving us the will to climb, to sweat, to not give up, to move on, to look forward in life. In that famous spring of 2012, when you put yourself on the line, you had me emotional already. Brain cancer kept me from living, climbing, but made me realize that friendship and the strength of the ones close to you can take you where medicine fails. This has always been the story of CAC in the years when you were running it and this is my story, my life which is still going forward with “one more” therapy: the love of my Francesca and my climbing friends. I wanted to write to you in 2012, but then fear, anxiety, uncertainty came along and I wasn’t sure of anything, then your death or maybe it just wasn’t the right time so I didn’t write. Now’s the time. To get out and tell everyone that together we can win.